The CEO of leading telecommunication firm in Somaliland, Hon. 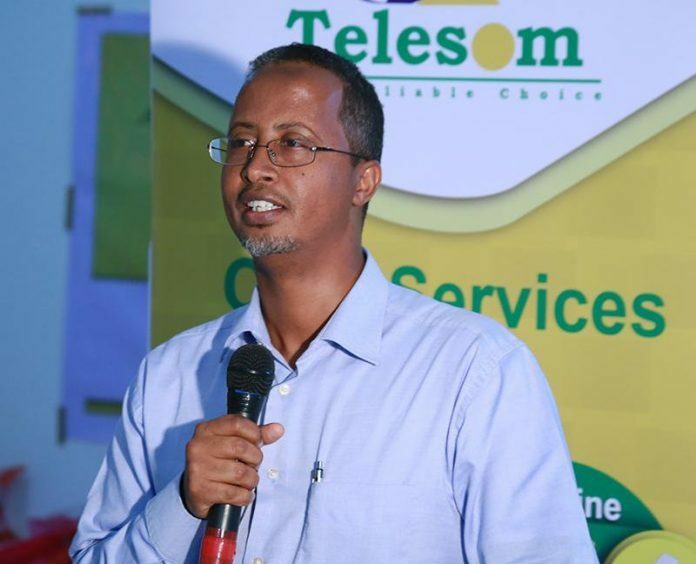 Abdikarim Mohamed Eid, has been named the CEO of the Year in Africa’s telecom industry at the recently held AfricaCom Awards in South Africa. This is the first time that Telesom CEO, Hon. Abdikarim has participated the award. The criteria that Hon. Eid has won the award is that his company has played a crucial role in in promoting the economic growth of Somaliland. Telesom has become the first telecommunication firm that has pioneered the introduction of mobile banking, the fifth country to embrace Zaad services and mobile money exchange. The AfricaCom award was in recognition of the consistent growth of telecommunication in Somaliland under his visionary leadership.